Avaya’s IP500 IP Office is redefining how the business communicates. The Avaya IP Office Family is the latest advancement in converged voice and data technology from Avaya. 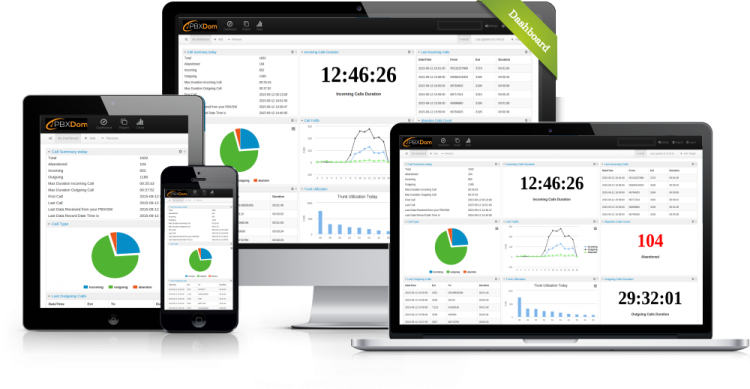 IP Office combines high-end voice and data applications normally reserved for large enterprises with easy to use tools that allow the smallest of businesses to deliver cutting-edge customer service. Avaya IP Office IP 500 with Phone 30 Expansion Module and Digital 30 Expansion ModuleThe IP Office family consists of the IP Office 500 series communications solutions. The Avaya IP Office IP500 V2 is the latest control unit in the IP Office IP500 suite of products, supporting IP Office Release 6.0 and higher. Systems can be expanded through the use of expansion modules. 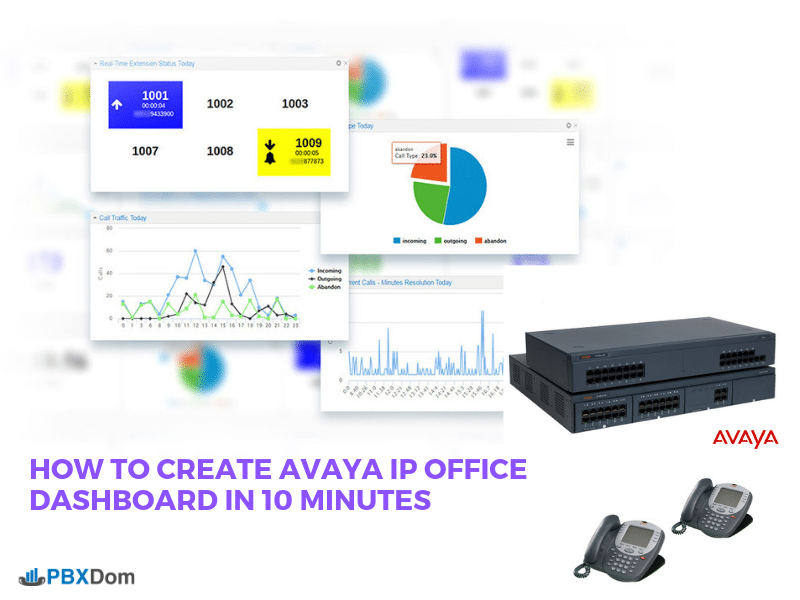 In this article, I am going to show you how you can create the Avaya IP Office Dashboard within only 10 Minutes. So, let’s get started and follow along with my instructions step-by-step. After confirming your account by clicking on the link sent to your email, you will be redirected to setup page on PBXDom website. Before start set up the PBXDom collector software, I draw your attention to the following diagram. 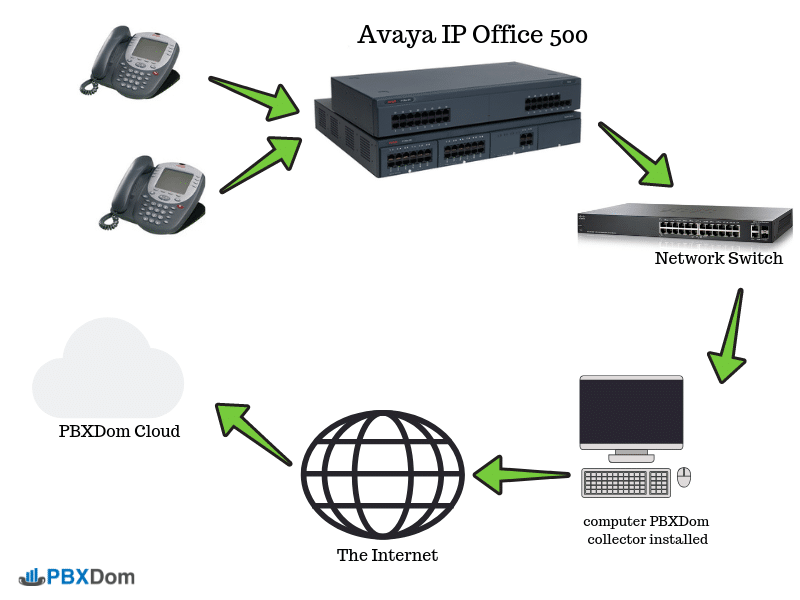 It shows the connection between your Avaya IP Office 500 and PBXDom. To set up your Avaya IP Office 500 Dashboard goto next step. Select Avaya from the vendor list. 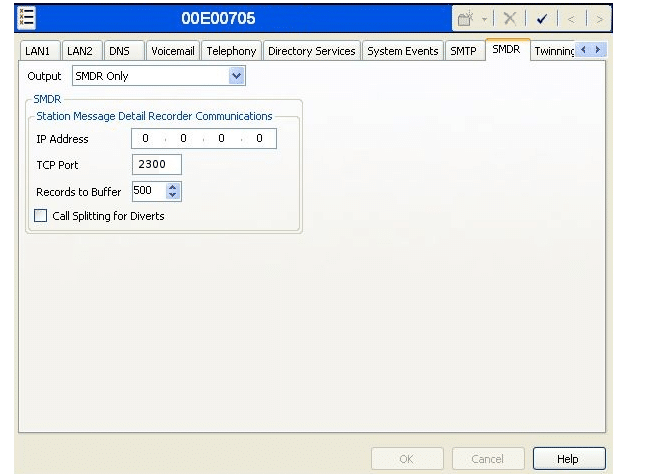 Select Avaya IP Office matched with your system from the model list and click on the next button. Click on the LAN connection and click on the next button. In this window, you can find information about how to configure your IP Office 500. To make sure everything working, click on “Sync settings” button on your collector. If the issue is still unresolved, please schedule a Free remote installation service by clicking the button. After a few minutes, you should receive 4 OK and windows change to the following message on your screen. Congratulation, Please click on the Finish button to access your Avaya IP Office Dashboard. I hope this article helps you to find a very easy solution for making a dashboard for Avaya IP Office systems and deep insight into your voice traffic in your organization.